Camacho escaped the camp on July 9, 1965, during a monsoon, slipping through the bars of his cage and hiding in the jungle for four days until he reached U.S. forces. Memories of being caged, shackled and exposed to the powerful herbicide Agent Orange linger in the mind of retired U.S. Army Captain Isaac “Ike” Camacho, the first American to escape a prisoner of war camp in Vietnam. 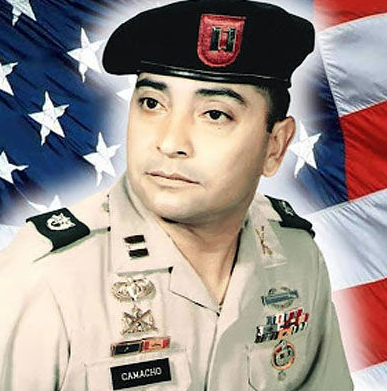 Still, Camacho, who spent nearly two years as a prisoner of war, said he would serve again if he could. “At one point in your life you have to serve your country. This would be one way of serving your country,” the now 81-year-old Camacho said from his home in East El Paso. Camacho is among the thousands of borderland veterans whose service to the country will be commemorated during Veterans Day on Sunday, Nov. 11. His life story has been recounted in “Isaac Camacho, An American Hero.” The book by Billy Waugh, a retired Army sergeant major, was released in March by Permuted Press.